Professor Parkins visits an ocean-side inn during his semester break to focus on a bit of research and a bit of golfing. Before going, one of his colleagues asks him to check out a particular area near where he is staying to determine if it is suited for an archaelogical dig. Parkins agrees and heads off to his break. We are told by the narrator that Parkins is someone who scoffs at the idea of the supernatural and refuses to buy into such superstition. He goes to the inn and begins his vacation. He makes friends with another resident at the inn, a colonel and the two play golf. While out at near dusk, Parkins visits the site and explores. He finds a strange whistle and he walks back to the inn. On his way back, he turns around to see a man (he believes) to be moving about in his direction but at an inconceivable pace. He returns to the room and blows the whistle which has a strange sound to it. It also have writing on it which he believes is Latin. Following second time he blows the whistle is a fierce wind that rattles the inn. Afterward when he settles into bed, he closes his eyes but every time, he has a vision of some man running towards him on the beach. It continues to frighten him until morning. The next day, he reconvenes with the Colonel and the two have another go at golf. On their way home, a young boy runs into them filled with fear. The boy explains he saw some figure climbing out of the inn's upper window. When they get to the inn, the window is identified as Parkins so he goes up to his room to investigate. It's clear that someone has messed with his bed but nothing else is clear. Eventually, he settles down fro bed and dozes off. At some later hour, he awakes and watches the bed sheets on the other bed (there were 2 beds in his room rise up in the form of a body and move towards him. The two struggle and at some point, Parkins sees the being close up. As the two are pitched near the window, the Colonel busts into the room and saves Parkins from falling to his death. In the aftermath, it's clear that Parkins now believes in the supernatural. This story did not belong in this anthology. It's a rather poor choice considering the claim of the anthology. It's not even one of M. R. James' better stories for horror. It had some dark moments but it could hardly compare to others in this collection such as The Great God Pan by Arthur Machen (a MUST read). Parkins feels insubstantially developed and the active narrator is never identified as to who he is within the story. 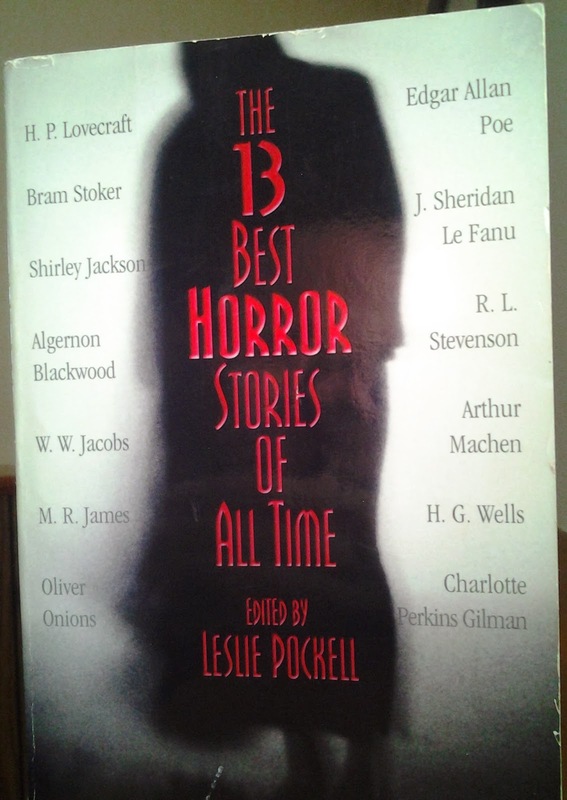 Source: The 13 Best Horror Stories of All Time edited by Leslie Pockell, Warner Books. You can also find the story online at the Gutenberg Project.